I have to say I was totally inspired by Miss Kaelah of This Charming Life for this post. She share some fun phone cases in this post....so I knew I had to shop around for some of my faves as well. I just recently upgraded to the iPhone 6s and have to say I am in love. Of course I got it in rose gold, if you wanted to know! If there is one thing Zach and I don't see eye to eye on, it's technology. I'm an Apple girl through and through, and he just isn't. He's got Android phones and Windows computers and Android tablets and Windows tablets. We just aren't the same tech wise. I guess it's great that tech accessories don't a good relationship make! 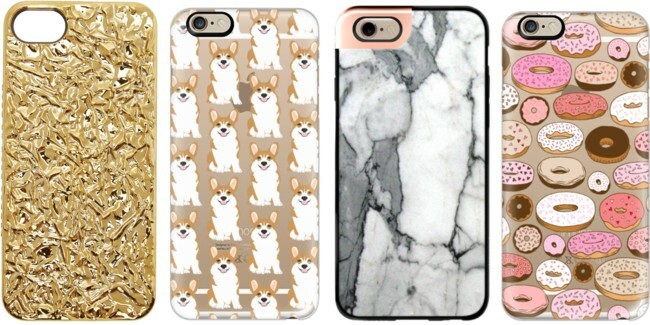 Anyway....here are some pretty awesome phone cases just incase you need a new one. 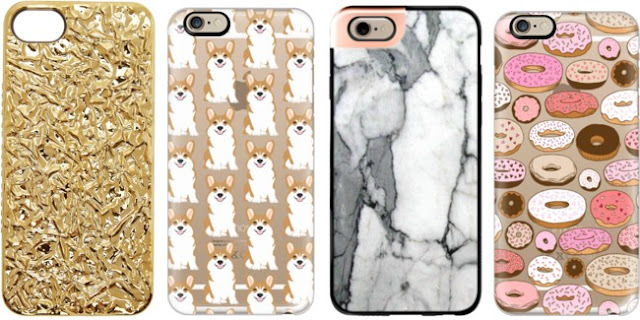 I am in love with the Corgi & the Donut one....that's like the definition of my life. My MIL got me a corgi clock for Christmas and it sits on the wall right above the Corgi die cut calendar my best friend sent me for Christmas. Love it all!